Jubilee director Shaun Riley with volunteer Melinda at Forest Lake Shopping Centre. Do you have a spare few hours every month to donate? 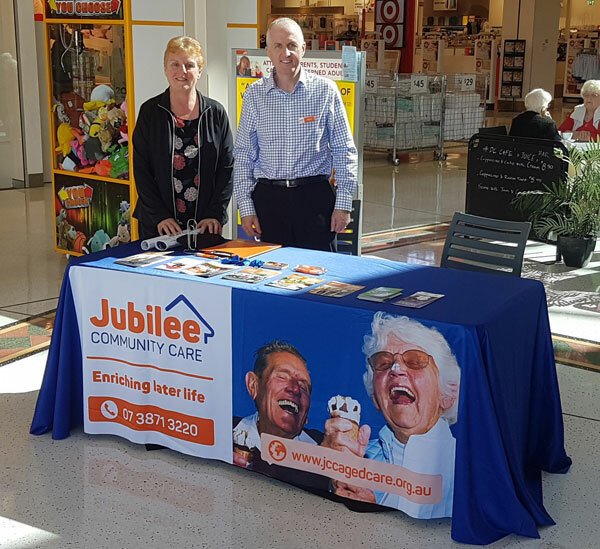 Jubilee Community Care visits local shopping centres once a month to spread the good word about our services and how we can help people to remain independent in their homes. We are looking for volunteers who can facilitate an information table to share about Jubilee and its services. Volunteers are trained and supported. If this interests you phone Jubilee Community Care on 3871 3220.